GARDAÍ SAY THEY have opened a murder investigation into the death of missing Dublin woman Joanne Lee. 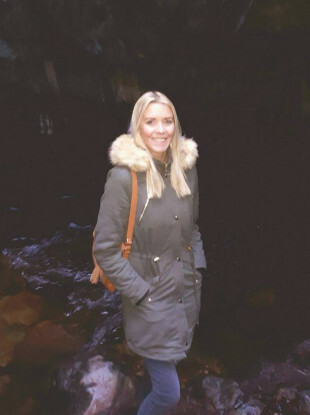 Her body was found in a house in Ranelagh yesterday, days after she had been reported missing. A post-mortem by the State Pathologist took place this afternoon. It is understood that the man who was found to the rear of the property where Joanne Lee’s body was located was her estranged husband. It was Joanne Lee’s husband who had reported her missing. The missing woman’s family had reported the 38-year-old’s disappearance a few days ago, and a public appeal had been launched. She was found after gardaí were called to the house at 92 Ranelagh Road in Dublin just before 4pm yesterday. Her body was discovered inside a wardrobe. Gardaí found her unresponsive, and medical assistance was given to her, however she was pronounced dead at the scene. A man in his 30s, understood to be her estranged husband, was taken to hospital from the scene after he fell from a third-floor window. Gardaí said today that he does not have life-threatening injuries, but does have “serious injuries consistent with a fall from a height”. A garda from Mountjoy helped him with his injuries and may have helped save his life, gardaí told reporters today. Joanne has access to a silver Nissan Micra, 08 MH 16073. Gardaí are appealing today for anyone who may have seen her in that car since 5 February to contact them. Police also appealed to the public or friends who may have seen Joanne Lee since 5 February to get in touch. Anyone who may have information is asked to contact Donnybrook Garda Station on 01 666 9200, the Garda Confidential Line on 1800 666 111, or any garda station. Email “Murder investigation opened into death of Joanne Lee”. Feedback on “Murder investigation opened into death of Joanne Lee”.